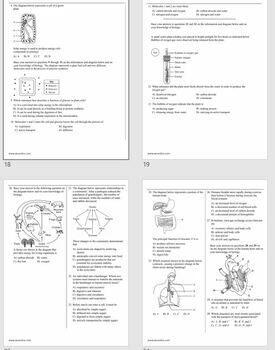 This packet includes 1 written activity for each of the following topics listed below along with 25 multiple choice test questions. 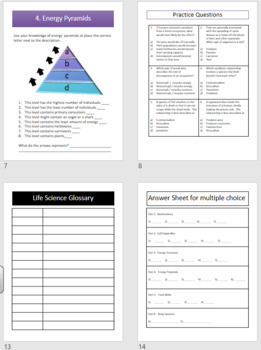 This is a great way for students to organize their notes or other materials into something they can use for studying. 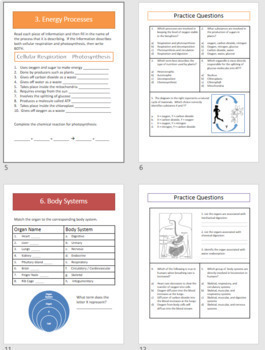 When done, the student will have a completed graphic organizer and a handful of practice MC questions for each of the topics. A blank glossary and answer sheet is included. This file is a power point presentation and is set up as portrait for easy printing or editing. 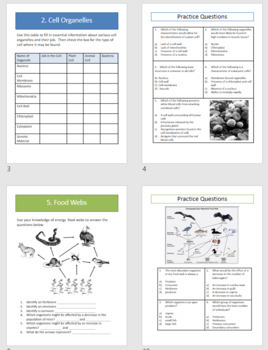 Great to use as a review packet or take home test for most life science topics.